Newell Broadus Sellers, 85, of Bowling Green, KY, and formerly of Springfield, passed from this life on Friday March 29, 2019 at the Greenwood Nursing and Rehab Center in Bowling Green, KY. Funeral services will be conducted Wednesday April 3rd at 12:00 noon in the Oakhurst Chapel of the Robertson County Funeral Home with Brother Martin Babb officiating. Interment will follow in Greenlawn Cemetery in Franklin, KY with Mark Sellers, Mike Lemon, Mike Beshear, Ted Stubblefield, Jim Campbell, and Trent Pinson serving as pallbearers. Honorary pallbearers will be Ralph Hollingsworth, Bobby Payne, and Jackie Pinson. The family will receive friends on Wednesday from 10:00 a.m. until service time at the funeral home. Mr. Sellers was born June 11, 1933 in Lake Providence, LA to the late Edward and Lois Cole Sellers. He grew up in Mize, MS and graduated from Mize High School. He was a graduate of the University of Southern Mississippi in Hattiesburg. Mr. 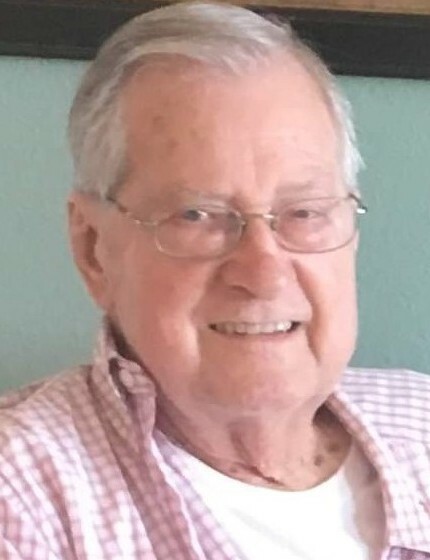 Sellers was a veteran of the U.S. Army, having served in a guided missile unit in Seattle, WA during the Korean Conflict. He was employed with JC Penny for 10 years, having moved to Springfield in 1969 as a department store manager. He then went on to work, and retire from, the State of Tennessee Department of Health as a facility administrator for over 30 years. After moving to Bowling Green, KY, he enjoyed the fellowship of First Baptist Church in Bowling Green through their television ministry. His church membership was with Springfield Baptist, where he taught Sunday School for over 40 years. Mr. Sellers loved fishing, collecting Snoopy memorabilia, and spending time with his family. He loved nature, animals, and traveling, especially to Orange Beach and then on to Gatlinburg during the month of October. Mr. Sellers is survived by his wife of 46 years: Nancye Webb Sellers of Bowling Green, KY, his son: Mark Sellers of Laurel, MS, his daughter and son-in-law: Cindy Sellers Lemon and Mike Lemon of Bowling Green, KY, and by the joys of his life, his grandchildren: Abram, Tobias, Asa, Gideon, and Judah Lemon. If so desired, memorial contributions may be made to Springfield Baptist Church or to the First Baptist Church Television Ministry in Bowling Green, KY. All donations may be sent c/o Robertson County Funeral Home.